Two powerful players in the dental industry are set to engage in a new cooperation: As announced at the IDS 2015, the CEREC Omnicam and the new CEREC Ortho Software can be used to submit digital impressions for Invisalign® clear aligner therapy. The new CEREC Ortho SW 1.1 features a patent-pending guided scanning process and connects the CEREC world with Invisalign® treatment by allowing seamless digital impression submission. CEREC is already the most frequently used system for digital impressions, and no other system is used more often for chairside restorations – this solution is not only safe and reliable but also scientifically proven. The orthodontic treatment can be planned in the Invisalign® treatment process using the digital impression data. Digital models created from CEREC Omnicam intraoral data are transferred to Align Technology and used as part of the record submission for an Invisalign® treatment. This eliminates the laborious process of creating and sending physical impressions, which results in faster processing of the case. Patients may benefit from the earlier start of the therapy and the digital impression taking instead of conventional impression material. CEREC’s proven digital impressioning system provides a safe and reliable step into the process for general practitioners and orthodontic specialists alike. The required new software, exclusive for CEREC Omnicam systems, will be available in selected markets by summer 2015. Existing users should contact their representatives for availability. Sirona is the global market and technology leader in the dental industry and has been a worldwide partner for dealers, dental practices, clinics, and dental laboratories for more than 130 years. 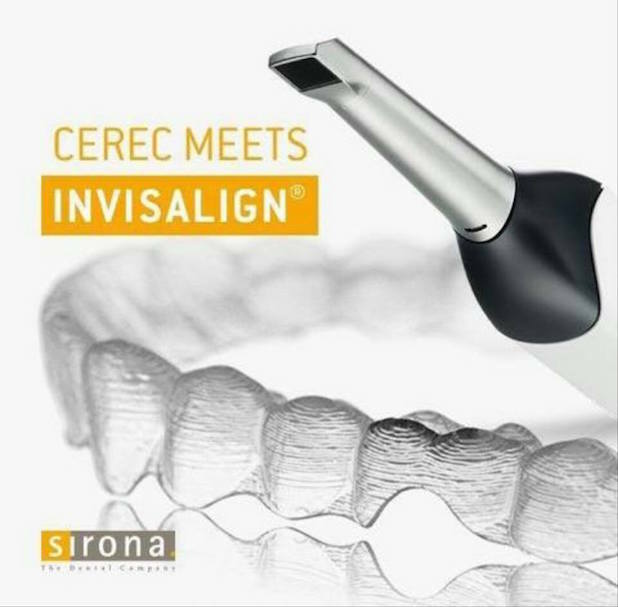 Sirona develops and produces the complete spectrum of dental equipment products, including CAD/CAM systems for computer-assisted ceramic restorations (CEREC), digital imaging systems for intraoral and panoramic x-rays, as well as volume tomography (3D), treatment centers, instruments and hygiene devices.